Enjoyed your research as always Jennifer. First time to see that beautiful lounge by Miles Redd and like everything about it. Thank you ! Alas, the house was sold and torn down as it was deemed too expensive to bring back to its former glory. But the floor plan of this house remains in my mind as the "perfect" gracious home. 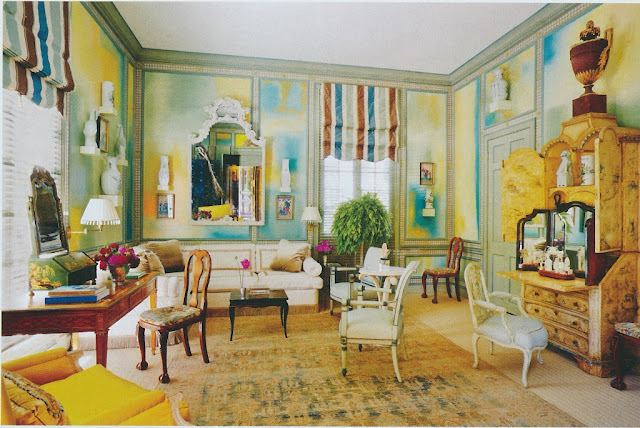 I had never heard of Miles Redd until I cam across your blog, ages ago. While I think the Peak of Chic is fab, I do have to say that Miles is the kind of decorator only an American suburbanite could love. His work is such a parody of continental glamour - a pastiche of stolen ideas held together by banal attempts at playful irony. I have held my tongue long enough on that one, but that ghastly "ladies' lounge" is the straw that has broken this camel's back. The man is over-rated. 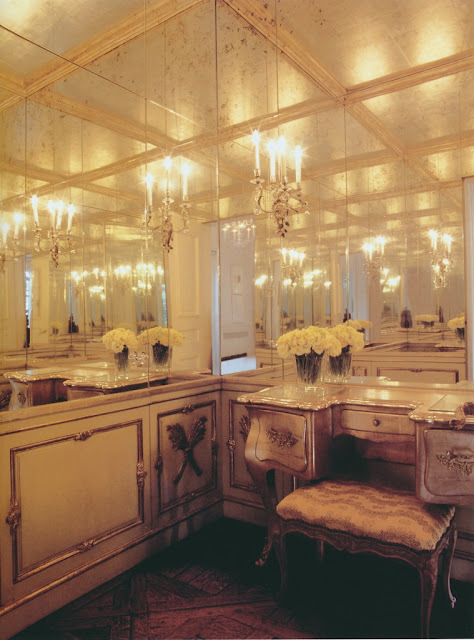 Would that you gave Alvise Orsini or Tessa Kennedy half the space that Redd gets - 26 items tagged Miles Redd; at least 26 rooms to avoid. When the project can support it, my houses have a guest space for gathering one's self, making a phone call, and/or using the facilities. Brits call it a Cloak Room. Brilliant and necessary! Whatever happened to "cloak rooms"???? So civilized! Call us "old fashioned"!! I like it!!! Think that Mrs Elkins's brother, the brilliant architect David Adler, might have helped with that mirror'd panelled room? They collaborated on all the projects they did together! Lucky were they!!! He died way too young! After he died; then she moved to Monterey, California. She was in the right place at the right time; her talents were recognized...she did great houses and many of them in Pebble Beach, California. She also was one who popularized the "Monterey Colonial" style of architecture (of which her house in Monterey was an original) My very favorite style of architecture!!!! The Reed room never ceases to amaze - the heavy glass moldings, the sleek floor inlaid with little squares of nickel, and the unexpected but perfect flowered rug. Was Elkins the greatest of them all? My mother who had the most exquisite taste I have ever known thought so. The greatest of them all!! Loving the style in all of these pictures. It's such a classic and fun style! Love the Miles Redd design as it is zesty as well as opulent, which is a great combination. Thank you very much for the great article. I dont think the Zellerbach room ever had sheet mirrror done in the manner of this photograph - it most likely had a wall covering above the dado. 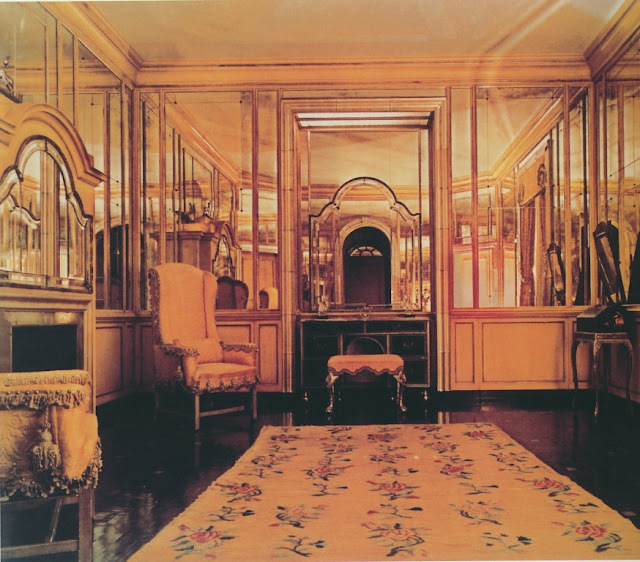 The flowered carpet in the Reed room was made by Mrs. Lydia Lee, who lived only a short distance away and made these during the 60s and 70s. 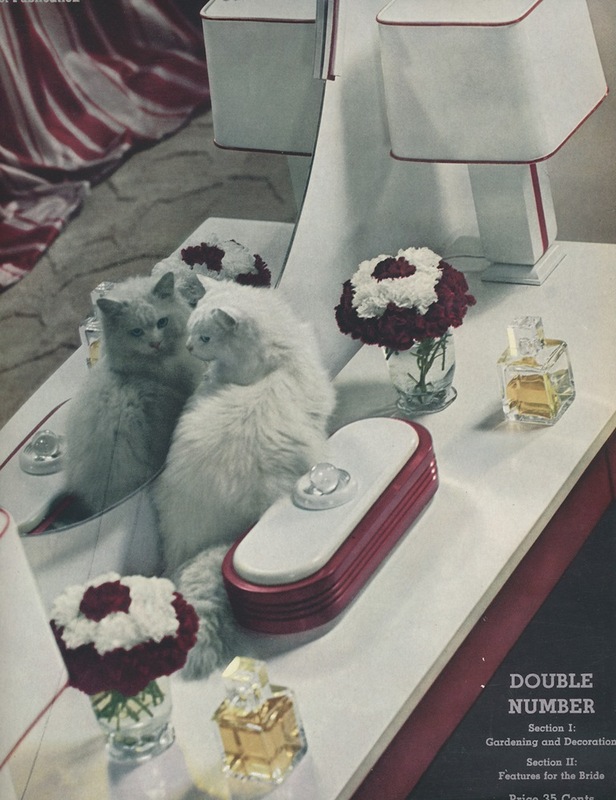 Actually; the Zellerbach dressing room was done exactly as shown. "The Peak" does her research! 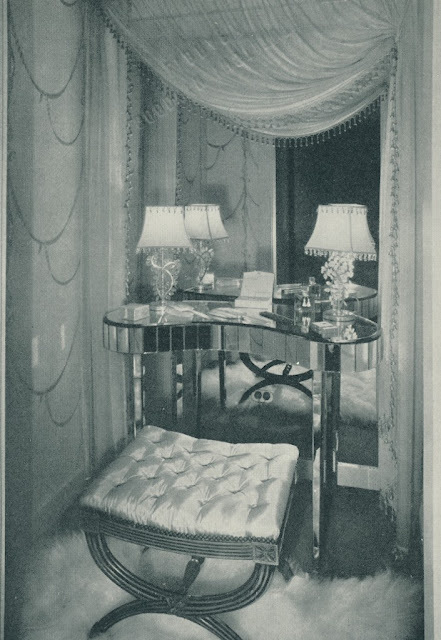 It is shown on page 114 and 115 of Stephan Salny's brilliant book : Frances Elkins Interior Design. (2005) Foreword by Albert Hadley. Ms. Elkins was way way ahead of her time. No wall covering. Mirror. 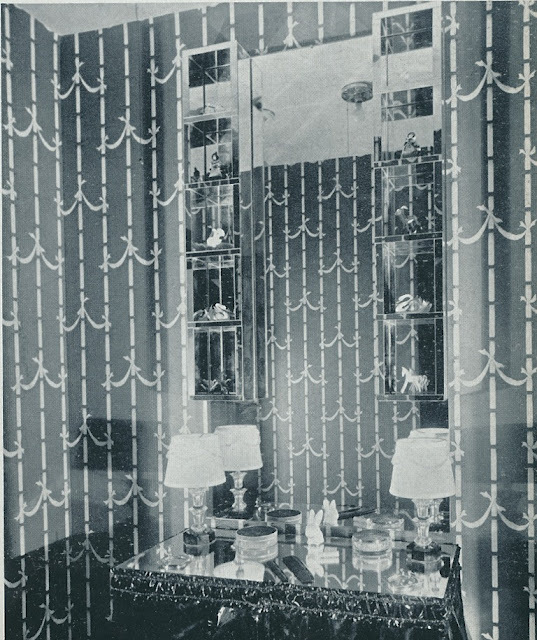 And the Bagues sconces were of "silvered glass and rock-crystal" mounted right onto the mirrored panels. Astonishing!!! And how about the ceiling!!! JEEKERS!!! I just swoon!!! 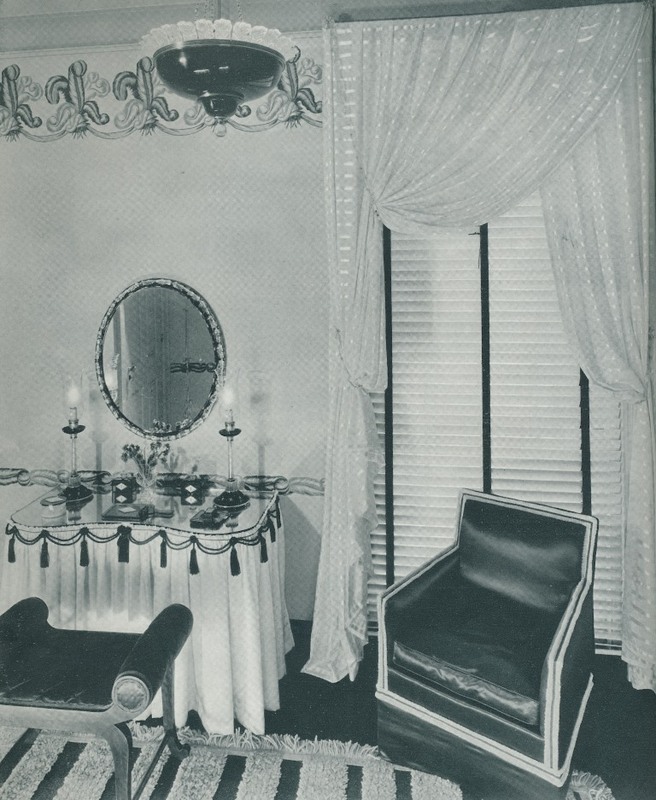 I could move in with my toothbrush to any room in Mr.Salny's book and not change one single lampshade. Good grief! How many years later???? And I never really saw her work until this book was published! Just stories from my mother about how fabulous Frances Elkins was as a decorator....all the while encouraging me to become one! 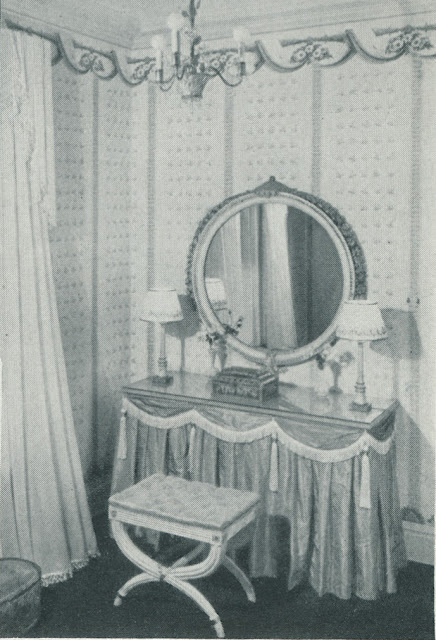 Albert Hadley says in his introduction: "Frances Elkins was a frontrunner in her profession...a decorator, perhaps ahead in the races." Yikes!